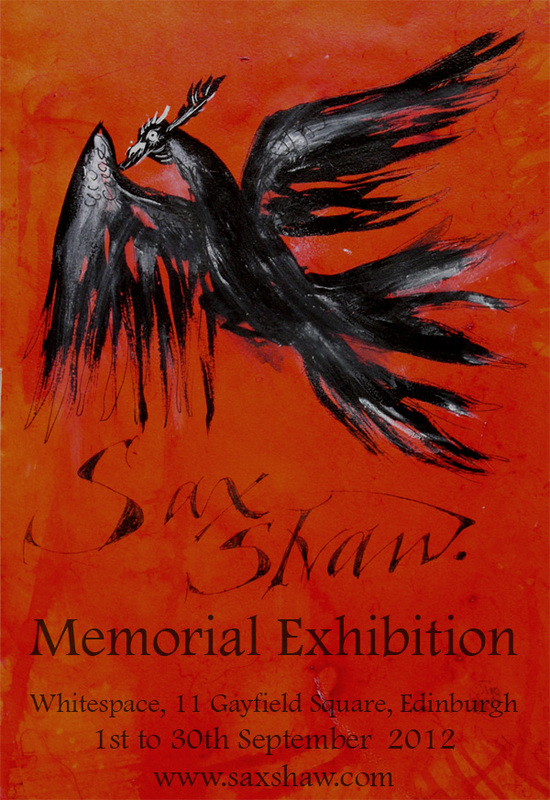 The exhibition will cover Sax’s career from college days to the late 1980s. It will include Tapestry, Stained Glass and Watercolours, as well as lesser-known work including costume designs from ballets, graphic work such as book covers and posters, murals and other applied arts pieces from the family collection. The catalogue will be included in this website. This exhibition represents a rare opportunity to buy some original works from the family collection. Limited edition prints and other reproductions will also be for sale at the Whitespace Gallery and online. We look forward to meeting you there. The exhibition was reviewed in the Broughton Spurtle on Sept 4th. I have two Sax Shaw paintings from 1958. I would consider selling them or indeed lending them for this exhibition. My late mother was a friend of Sax Shaw and he gave them to her as a present. They have hung in my family house for the past 40 years.